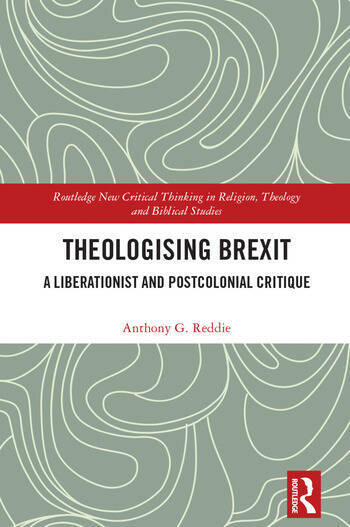 This book offers a comprehensive analysis of the theological challenge presented by the new post-Brexit epoch. The referendum vote for Britain to leave the European Union has led to a seismic shift in the ways in which parts of the British population view and judge their compatriots. The subsequent rise in the reported number of racially motivated incidents and the climate of vilification and negativity directed at anyone not viewed as ‘authentically’ British should be a matter of concern for all people. The book is comprised of a series of essays that address varying aspects of what it means to be British and the ways in which churches in Britain and the Christian faith could and should respond to a rising tide of White English nationalism. It is a provocative challenge to the all too often tolerated xenophobia, as well as the paucity of response from many church leaders in the UK. This critique is offered via the means of a prophetic, postcolonial model of Black theology that challenges the incipient sense of White entitlement and parochial ‘nativism’ that pervaded much of the referendum debate. The essays in this book challenge the church and wider society to ensure justice and equity for all, not just a privileged sense of entitlement for some. It will be of keen interest to any scholar of Black, political and liberation theology as well as those involved in cultural studies from a postcolonial perspective. Anthony G. Reddie is an Extraordinary Professor of Theological Ethics at the University of South Africa and a Fellow of Wesley House, in Cambridge, UK. He has written over 70 essays and articles on Christian education and Black theology and is the author and editor of 17 books. He is editor of Black Theology: An International Journal, the only academic periodical of its kind in the world.